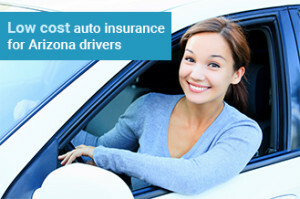 At UNO Insurance, we have helped Arizona drivers, renters and homeowners with their insurance needs since 1982. What makes us different is that we are an independent insurance agency. This means we are able to provide Arizona auto insurance to residents and not tied down to one insurance companies rates. In fact, we work with over 20 different insurance companies, so we can shop for the best combination of insurance coverage at the lowest price possible. Getting a free insurance quote is quick and easy using our Phoenix Car Insurance Quote Form. If you are a driver in Phoenix or anywhere else in the Arizona state such as Tempe, and you feel you are paying too much for your car insurance, or feel you are not getting enough coverage for what you are paying, then you need to talk to us. Like we mentioned, we work with many different. With over 20 years of close relationships and experience with these companies, we can find the lowest price while getting you the coverage you need. Every driver is different and each Phoenix insurance company looks at drivers differently. So why waste your time shopping all sorts of different car insurance companies when we can do it for you? You have nothing to lose with getting a free quote for a new insurance policy from us, except for paying too much. You can easily get a free quote from our insurance experts by using our Online Insurance Quote Form or by simply calling us at (602) 493-2300. Has the Arizona MVD required you to file a SR-22? No worries, we got you covered! 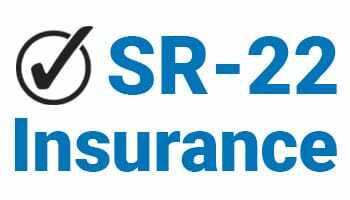 SR-22 is a form which is required by Arizona to prove that you have at least a liability insurance coverage for your vehicle when you get a DUI, get pulled over driving without the proper coverage, or too many traffic tickets. Since we work with multiple Phoenix car insurance providers, many of them can write a SR-22 at no extra cost. Since having to file a SR-22 usually requires higher insurance rates, we can help you get you the lowest Phoenix SR-22 insurance rates possible since you will need to provide proof that you do have car insurance. insurance. Ready for a free renters insurance quote? Get a free quote by calling us at (602) 493-2300 or contacting us online today!